As the weather gets warmer in September, we thought we’d direct our Explore team towards Blue Bay where pristine waters and a large array of colourful fish were awaiting them. Not far from the airport and the popular fishing village of Mahebourg, Blue Bay is a key area for people in search of relaxation and serenity. Romantic couples or groups of people wanting to rest maybe from a usual rushed up lifestyle will find their happiness in Blue Bay. Perfect for strolling along the beach, glass bottom boat trips and cycling trips, Blue Bay is a real sanctuary for those who are explorers at heart and who love the sea in all its delight. Blue Bay is the most suited name for the area as it boasts the bluest and most varied shades of blue ever spotted in a lagoon in Mauritius. It almost looks like some artist has splashed all his blue paint into the waters long time ago and nowadays the paint has merged into the waters in perfect symbiosis. Blue Bay is known for its natural 5-star Marine Park which is home to hundreds of different varieties of fish. Unfortunately most of the sea flora and fauna surrounding Mauritius has suffered some way or another from climatic changes and pollution. This is why a 2 hour-long glass bottom trip in Blue Bay Marine Park is strongly recommended. The total area of the Marine Park is 353 hectares; it includes the lagoon and extends about one kilometre seaward from the reef crest. At the Marine Park, you can make up your mind as to whether you want to enjoy the undersea world on board the boat or whether you want to feel part of the world of the mermaids and jump off board! We jumped! Some pieces of bread thrown into the water were all that was needed for shoals of fish to appear from everywhere and tickle us. These fish it seems are used to human presence and some snorkelers claim that they can even recognise the colour of masks and flippers. At an average depth of 5.5 meters, the water is crystal clear and thus ideal for great visibility therefore making snorkelling conditions ideal. The reefs along with the fish, and large selection of corals (over 50 different species) will make your snorkelling mexperience, a unique one. The Blue Bay Marine Park is also home to mangroves, algae, sea grasses, corals, and other marine organisms. The wide variety of fish species includes Damselfish, Surgeonfish, Butterfly fish, juvenile Sailfin tangs, as well as tiny Pipefish and large Trumpet fish. The beautiful sub-tropical climate of Blue Bay means that average summer temperatures are around 30°C, tempered by cool ocean breezes. July and August are the coolest months, with temperatures around a delightful 24°C. Since you will be exploring the area in September, you should expect a sun-kissed temperature which is very comfortable especially if you come from cooler countries or areas. If you want to stay by the beach in Blue Bay, there are a lot of beach villas which can accommodate you and you can be right on the beach. Otherwise, further inland are a number of bungalows and self-serviced apartment that can suit your needs. As Blue Bay has a lot of scenic routes and streets for you to explore and find quiet beaches by the sea, we strongly recommend you to cycle around for an independent and interesting experience of your own. 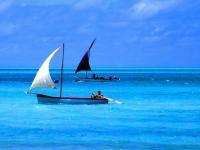 Overall, Blue Bay has attracted a lot of visitors due to its beautiful sea and Marine Park. 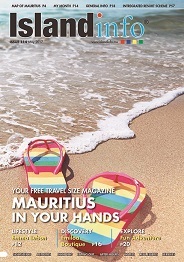 But it also has a charm of its own as the southern part of the island remains one of the less commercialised areas in Mauritius.